Scissors are awkward and don’t give you a crisp cut. 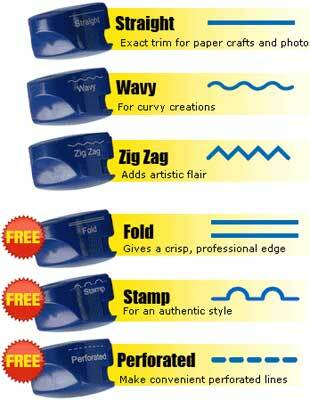 Do the job right with the Craft-Lite Cutter. It’s the first sliding trimmer with a built-in light so you can see what you’re cutting. There’s even a fold down guide to hold your paper in place and a swing out ruler to ensure perfect cuts in any direction. 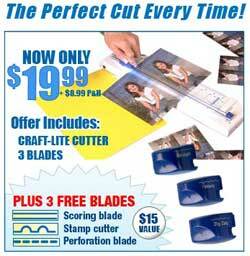 The Craft-Lite Cutter gives you precise cuts in seconds. No more mistakes, no more ruined projects.